Thank you for choosing Tri City Veterinary Clinic’s “A Bed and A Biscuit” Boarding for your pet’s boarding needs. Our primary concern is for your pet’s safety and well being while you are away. This page outlines our services and gives you information to help make your pet’s stay as pleasant and worry free as possible. Please note: For the protection of all pets in our care, all pets admitted for boarding must have current vaccinations. Our entire boarding facility is heated and air conditioned. Each pet is provided with ample soft bedding. Your pet will be placed in a clean kennel suite with fresh bedding each day. Suites are also cleaned as needed throughout the day or whenever a pet soils the area or bedding. Our dog boarding facility has large indoor suites. Each kennel suite is approximately 4 feet x 7 feet. For multiple or large pets, we offer connected suites to give a larger, 14 foot space. Each suite is constructed of sealed walls and flooring with chain link top and door to allow for an airy feel. These materials allow for thorough cleaning and disinfection, while providing comfort and safety. Again, soft bedding is provided and changed daily or more often if needed. Our cat boarding facility has roomy, indoor kennel suites. The cat suites are constructed of stainless steel floors and walls for privacy, safety and cleanliness. The front and doors of the suites allow your cat a view out and an airy feel with good ventilation . Soft bedding is provided and changed daily or more often if needed. Litter boxes are provided at all times and are constantly cleaned throughout the day. Cats are housed in a separate area of the building, away from the boarding dogs. Pets are provided room service meals twice daily usually between 7am and 8am and again between 4pm and 6pm. At your request, pets can be offered a middaytreat or extra meal at no additional charge. “Turn Down” service is provided each evening and includes a small treat before bedtime. Dogs are walked a minimum of three times daily to allow for exercise and elimination outdoors. Walking service is included in the regular boarding fee. Cats are provided fresh litter pans twice daily. You may provide safe toys and treats for your pet’s enjoyment. 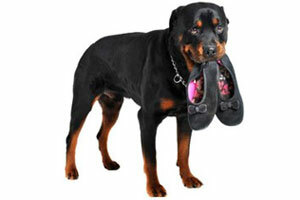 For your pets safety, a list of veterinary approved toys and treats for dogs is available here. The cat’s list is here. Please bring only approved items listed. Soft, clean bedding is always available for your pet’s lounging enjoyment. Bedding is changed each morning and whenever needed throughout the day. All our bedding is washed in hot water with bleach added to ensure the highest of sanitary standards. For this reason, we do not recommend that you bring special bedding for your pet. However, if you choose to bring bedding, please be sure it is permanently marked with your pet’s name and your last name. Please understand that any bedding you provide will be washed and handled in the same manner as our bedding. Therefore your items may be damaged or discolored by laundering. Tri City Veterinary Clinic and A Bed and a Biscuit Boarding will not be responsible for lost or damaged items. Should your pet require medication, we will administer medications you provide, at no additional charge, during normal care hours. Should your pet require injections, or medication given at unusual times, there may be an additional charge for this service. Please provide medication in the original container with the veterinarian’s instructions attached. We understand that you have chosen our Boarding and Veterinary Facility to ensure your pet’s safety and good health. Veterinary supervision is provided during normal operating hours. 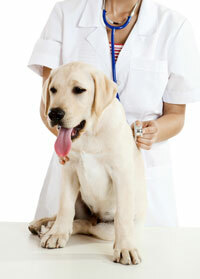 Should your pet require medical care, he/she will receive prompt attention and any necessary treatment and care. You will be charged our regular fees for these services. Please provide a phone number where you can be reached so that we can notify you of any serious medical problem. If you are unavailable, please provide a contact person that has full authorization to make medical decisions for your pet. Thank you for taking the time to read this information. If you have any questions, please call us – 760-758-2091 or email us. 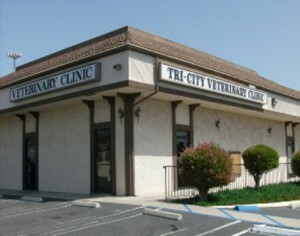 Our Boarding Facility serves Oceanside, Vista and neighboring areas. We look forward to your pet’s upcoming visit!